look great in all devices. Get Your Business Found by Search Engines and People! Our mobile friendly websites are designed to attract people and search engines. Website development and redesign projects in Joomla and Wordpress. New Internet Marketing's website and email hosting services bring enterprise level choices to our clients who require secure, fast and monitored hosting. Get your business found in Google with with our Search Engine Optimization strategies. Keyword analysis, blogging, social media services, and more. Grow your presence with SEO. Make buying a breeze for your customers with fewer clicks and one-page checkouts. Streamline your business process with custom eCommerce and programming solutions. We design websites that connect with people. People search the internet for solutions to problems or product and services that they need – and they are in a hurry to find them! Our websites are designed to immediately tell your visitor that you have exactly what need and you deliver the products or services better than the competition. Thats why West Palm Beach SEO is so important. Uncluttered design and clear messaging guides convert visitors into customers. When visitors land on your site, you have a matter of seconds to tell them that 1) you have what they are looking for and 2) that you are the best in the business. By combining concise messaging and relevant images, your visitors will very quickly know that they are in the right place. By carefully planning your site, we create a website that is highly usable. Logical layouts and easy navigation gets your visitor to where they want to go with fewer clicks. Let’s face it, if you arrive to a website and don’t find what you need within a few moments, you leave that site and look elsewhere. Gone are the days when ranking #1 in Google was enough, and SEO was all you needed to sell. Great website content also builds credibility, trust and rapport with your visitor. We help you develop content that is not only efficient, but also builds relationships. A focus on your exceptional qualifications, your credentials and what happy clients and customers have said about you is what sets you apart for your competition. You are the expert! No one knows your business better than you and your website should say that too. We design For Search Engines and People. As an online marketing company, we are keenly aware that your website has to serve two audiences: human beings and Search Engines. After all, you may have a beautiful website, but if it does not attract search engines, your human audience will never find you. Search Engine Optimization and website design go hand-in-hand. We meet many new clients who have website that don’t rank anywhere near the first page for their keyword searches. What we frequently find is that their web designer has missed or was simply not aware of the rules and best practices making a website friendly to search engines. Our websites meet SEO best practices for clean, error-free coding; optimized site titles and meta descriptions; and most importantly, the right balance of keywords and content. Just ask Google, content is king! The single more important factor in promoting your website online today is authoritative content. For your human audience, efficient and concise messages work best, but for search engine algorithms, trust and authority is established in two ways: quantity and uniqueness. Here’s how this works. People search for goods and services using keywords. That’s the easy part. Search Engines, particularly Google, match up keywords with the ‘best’ websites for those keywords. One big factor in determining ‘best’ matches is whether the website appears to be an authority on that keyword. To be an authority, you have to have something to say! Today’s algorithms are looking for sites that have an ample amount of content for the keyword that is being searched. Keeping it real. It’s quite easy for Google to see duplicate content. If your site has the same content as other sites on the web, then you have ‘duplicate content’ and search engines will detect this. If your content is the same as several other sites, you cannot be an authority on that keyword and the search engines can ignore your site, or worse, penalize it for seo. Creating abundant unique content is a daunting challenge for most business owners and, for that reason, we now offer content writing services. Of course, you know your business better than anyone else, but organizing your products, services, and unique value proposition onto pages for your website generally takes more time than a busy business owner has available. We strongly recommend factoring content writing into the cost and time frame of your site. Your participation is always welcome (and expected) and we’ll work closely with you on the content. Reviewing, editing and approving content is still the client’s responsibility, but getting the bulk of the writing done helps keep the go-live date of the website project on track. It’s official, we are inseparable from our phones and tablets. In 2015 over half of the searches performed online will be done on mobile devices. Moreover, when you use a mobile device, Google now gives priority to mobile friendly websites. So, one web term you will want to know is ‘responsive design.’ as Search Engines like Google demand this for Palm Beach SEO. Responsive website design: Simply put, a responsive website looks great in any browser and on any device. New coding standards are helping web designers produce sites that detect what browser and device you are using and render site content in legibly and logically. All of our new site designs or upgrades are mobile friendly. We use a Content Management System called Joomla! We use the Joomla content management system to build optimized, responsive designed websites. Joomla has become a very popular platform because it is both search-engine and user friendly. The site administration is designed so that you can make basic changes yourself if desired. In addition, Joomla is an industry leader fully responsive website platforms. Wordpress is another well-known blog and website platform. While we have extensive experience with supporting Wordpress sites, we have come to favor Joomla for website development. In terms of vulnerability to hacking, industry-wide Joomla has proven to be a more secure platform. Also, Wordpress was once thought to be more user-friendly, but Joomla now has features that make accessing and editing websites straightforward and highly manageable by our clients. You’ve got the power for West Palm Beach SEO. Not only do we design your site to meet your company's needs and that of your visitors, but we also educate and empower you to update your site if you wish. The level of involvement with the site is up to you. 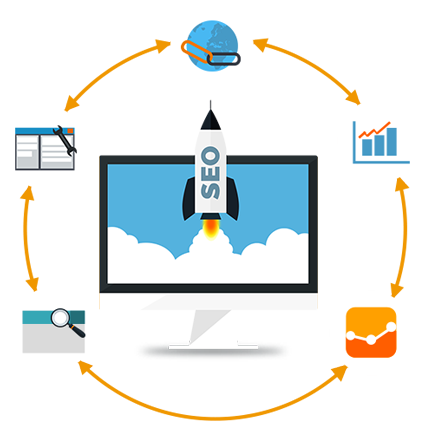 We will with west palm beach seo get you more customers.